Vanessa Kirby Bio, Tom Cruise Dating Rumours, Who is Her Boyfriend? Home Actresses Vanessa Kirby Bio, Tom Cruise Dating Rumours, Who is Her Boyfriend? In the acting profession, the abundance of talent has never been a problem. However, there are multiple elements that are considered before giving a newcomer on the acting scene a chance to express their talents – marketability, range, longevity – and not many actors and actresses who have talent have all of these in their arsenal, thus limiting them to bit-part roles. When a new player breaks through the difficult hurdles, there is joy in heaven. Vanessa Kirby is one of the new players on the acting scene who in a relatively short time has made a name for herself. She became an active actress in 2010 and has since received recognition from BAFTA and the Emmy. Who is Vanessa Kirby? What is going on in her personal life as regard to Tom Cruise? Read below to learn more. Kirby is an English actress, which makes her sudden rise in the world of Hollywood all the more impressive. The exact date the actress was born is unknown but we know she made landfall on planet earth between 1986 and 1987. Vanessa was born to a well-off family. An up tier middle-class family of a former magazine editor as mother and a urology specialist as a father. She grew up having actors Vanessa Redgrave and Corin Redgrave as family friends, and that may very well have inspired her to pursue acting as well. For her education, Vanessa was a bright student and got a few scholarships. She attended Lady Eleanor Holes School in Hampton and studied English at the University of Exeter. She was offered a place at LAMDA, London Academy of Music and Dramatic Art but turned it down when she got signed to a talent agency. Typically as an English actress that started her craft in England, she first started in theater roles after she met David Thacker who, on recognizing her talent, chose to cast in a few of his theater productions. She continued to star in multiple theaters across England and won a couple of awards for her performances, including the BIZA Rising Star Award. After a few years of theater plays, Kirby got her first onscreen appearance in The Hour, a BBC Television production. She followed it up with a lead role in Ridley’s Scott adaptation of Labyrinth. After a few movie and television productions, she returned to the theater and continued her outstanding performances on stage. Her return earned her another award from the WhatsOnStage Awards as Best Supporting Actress. While Vanessa Kirby had gained prominence in the English acting scene due to her stage appearances, she was still some way off establishing herself as an international star, despite a few appearances in Hollywood movies. Her international acclaim role came in 2015 when she was cast in Netflix hit British Series, The Crown. Her performance on the show has been hailed as exemplary and it earned her a BAFTA in the second season of the show. In 2018, she appeared in the international blockbuster, Mission Impossible: Fallout, further cementing her arrival onto the international stage as an actress. An actress who loves the theater, she’s currently due to appear in another stage play, as the lead character Julie in an adaptation of August Strindberg’s Miss Julie. So far in Vanessa’s career that started in 2009/2010, she’s appeared in 18 movies, 7 Television shows, and 12 stage plays. She’s been nominated for several awards including an Emmy and the BAFTA TV Awards. She’s won 6 awards in her career so far. 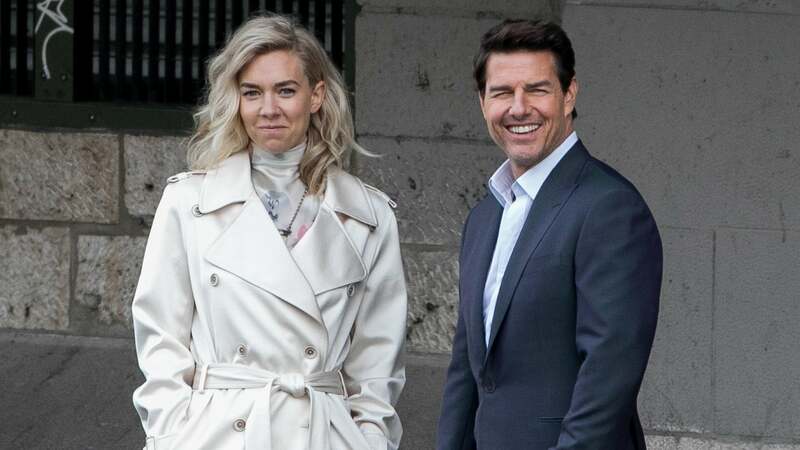 A rumor started to emerge during the filming of Mission Impossible: Fallout over the relationship between Tom Cruise and Vanessa Kirby. The rumor had been triggered after the two were photographed kissing on set in the movie. It became a thing and Vanessa, who was getting her first taste of tabloid gossip as a movie star had to come out and dispel the rumors as nothing more than the filming of a scene for the movie, affirming she’s already in a relationship with another man. Perhaps as a result of growing up with family friends who were actors, Vanessa has taken the route of keeping her personal life private and out of public pages. Other than basic facts about who she’s dating, there isn’t much known about the state of her relationship. She’s currently in a relationship with Callum Turner whom she describes as her best friend. Before Turner, Vanessa dated Douglas Booth and Christian Cooke in 2012 and 2009 respectively. The British actress is well on her way to becoming a major acting force and we can’t wait to see what she does next.